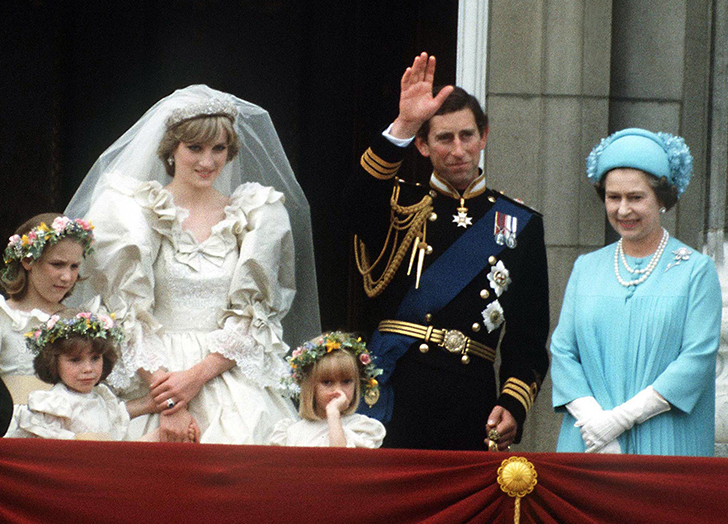 #TBT to when Meghan Markle and Prince Harry got hitched…but also, Kate Middleton and Prince William, Princess Diana and Prince Charles, Queen Elizabeth and Prince Philip. 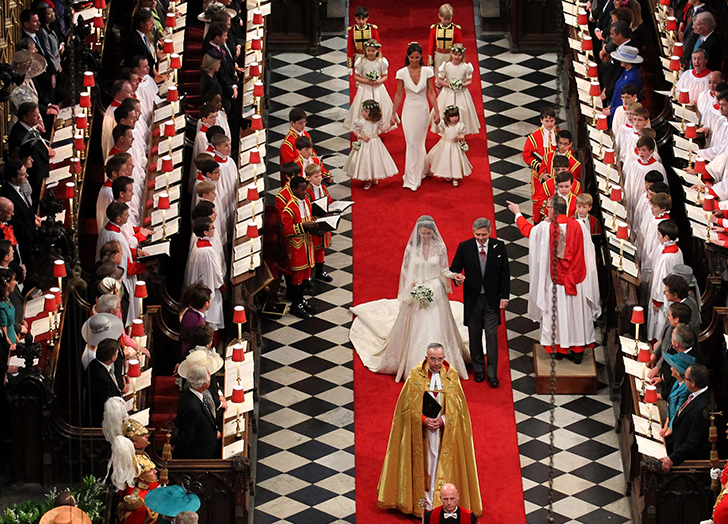 Because here’s the thing: While every single royal wedding is one of a kind (the dress! the gaggle of page boys! ), there are certain elements underneath all that pomp and circumstance that you can pretty much expect to see on repeat. Here, eight things you can bank on seeing at every royal wedding. 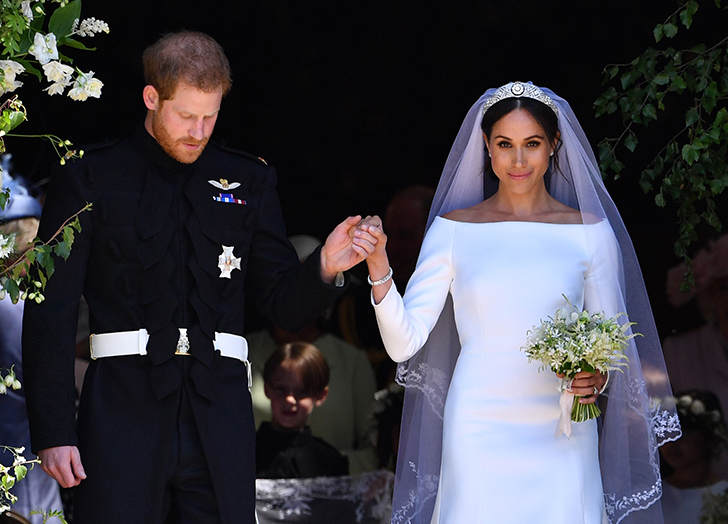 Every tiara in the royal vault has a unique history that can be traced all the way back to the OG royal who wore it, which is why—per the royals—it’s the perfect heirloom to fulfill this age-old wedding trope. 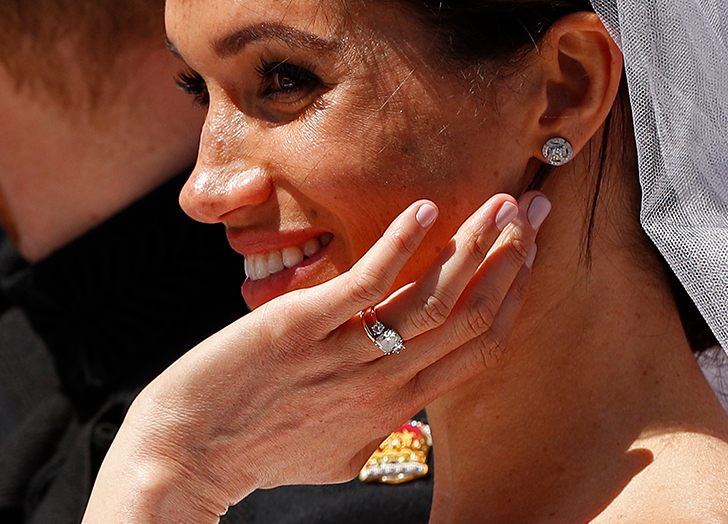 Meghan Markle opted for a sparkly filigree tiara—officially called the Queen Mary Diamond Bandeau tiara—while Kate wore the Cartier Halo Scroll tiara, originally purchased by King George VI as an anniversary gift to his wife in 1936. Princess Di borrowed the Spencer Tiara, a piece from her family’s own personal collection, and Queen Eliz wore Queen Mary’s Russian Fringe tiara, a piece made for her grandmother in 1919. Here’s why: Myrtle—according to botanists—signifies love and marriage. But the reason it’s a part of every single royal wedding bouquet is because it’s specially plucked from the 170-year-old garden of Queen Victoria, who was gifted the plant by Prince Albert’s grandmother so many decades ago. By tradition, a sprig from this very plant—which continues to thrive on the Isle of Wight—has been added to the bouquets carried by everyone from Queen Eliz to the Duchess of Cambridge. 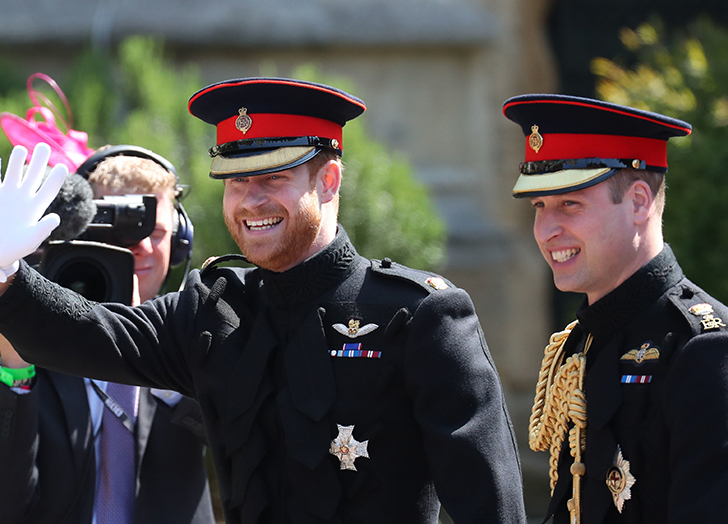 You may recall Prince Harry walked down the aisle in the frockcoat uniform of the Blues and Royals when he said “I do” to Meghan Markle. 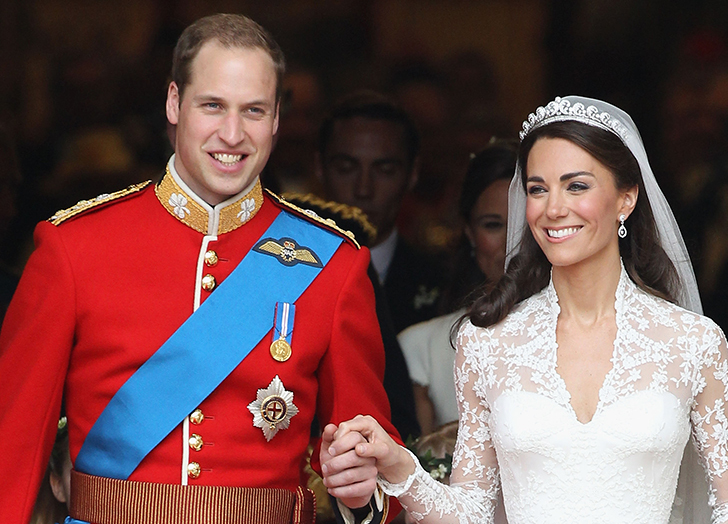 Here’s the deal: Standard (royal) protocol requires the groom to wear it. Tradition says that the groom is the last person in the entire congregation to peer at his royal bride—aka he can’t turn around to look at her until she’s reached the altar. It’s not a royal wedding without an epic and over-the-top wedding cake, which is a centuries-old tradition, according to royal experts. Queen Elizabeth’s cake reportedly weighed in at a whopping 500 pounds. 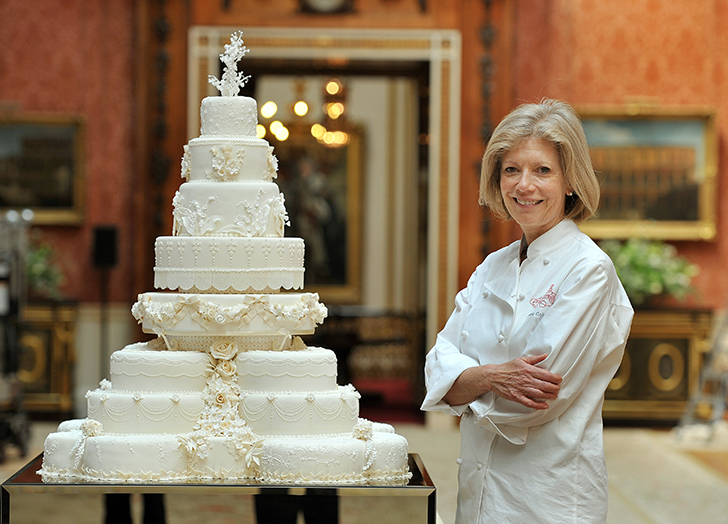 Princess Di and Charles’s was five tiers tall and Kate Middleton and William’s confection (pictured) clocked in at eight total tiers with the couple’s monogram emblazoned on the side of it. In 1923, it was decided by the Queen “mum” that all royal wedding bands would feature Welsh gold. Her ring had been made from a gift of Clogau gold with enough left over to be used in the bands of future royal brides—which turned out to be Queen Eliz, Princess Margaret and Princess Diana. In accordance with the 1772 Royal Marriages Act, all marriages within the British royal family are subject to the approval of HRH the queen. That is, up until 2013, when the Succession to the Crown Act was passed. Hey, if you have access to them, why not? 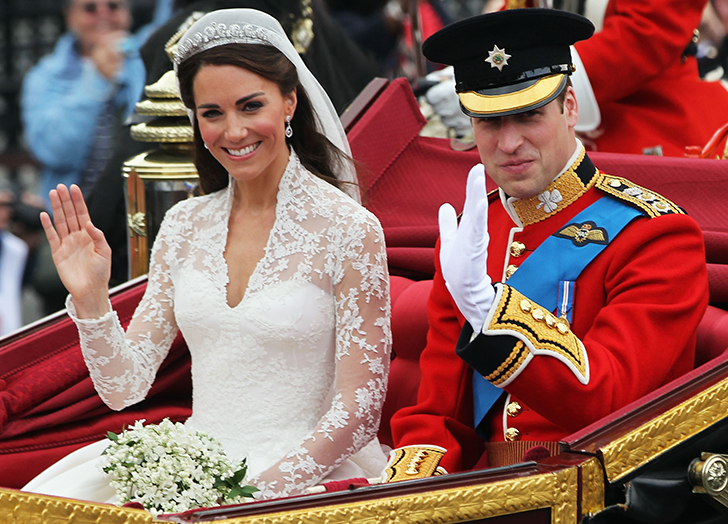 All royal brides and grooms ride off into the sunset in the carriage of their choice. Most have chosen the State Landau, a 1902 gilded open carriage.